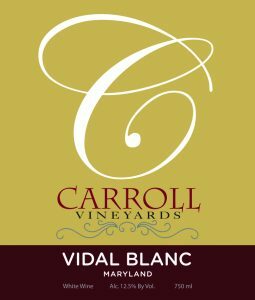 Carroll Vineyards announced the arrival of two new wines: Vidal Blanc and Apple Wine, both made by master Loudoun winemaker Doug Fabioli, owner of Fabioli Cellars. Fabioli began his career in the Virginia Wine business in 1997 and has become one of the most awarded and well respected winemakers in the country. In 2016, his 2012 Cabernet Franc Reserve was included in the Virginia Governor’s Cup Case, the commonwealth’s highest wine industry honor. Carroll started in the wine business at an early age. In 1988 he opened Leesburg Vintner on the corner of King and Loudoun Streets in downtown Leesburg. His shop has won numerous awards for its selection, knowledge and customer service including Virginia Wine Retailer of the Year. 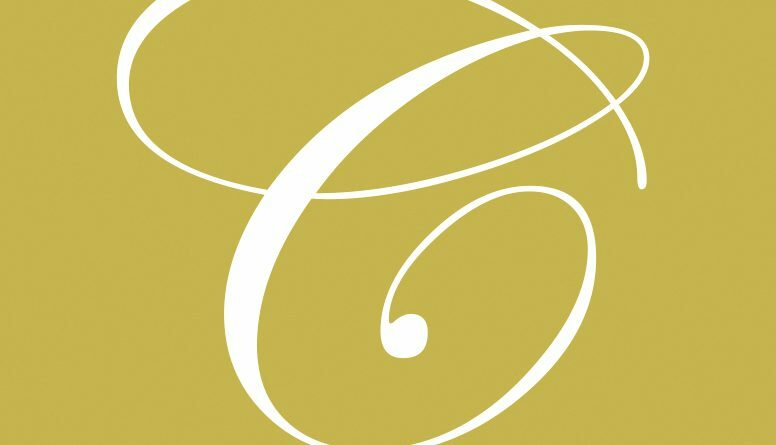 Carroll has been on the front line of Loudoun and Virginia’s wine movement from the start. In 2012, he and wife JoAnne started Carroll Vineyards where they grow grapes for their line of wines. 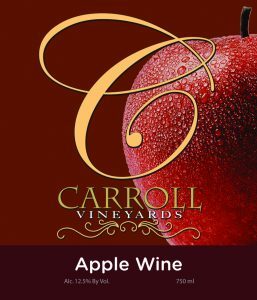 Vidal Blanc, Apple Wine and other Carroll Vineyards’ labels are exclusively available now at Leesburg Vintner, the official tasting room of Carroll Vineyards.